Free Shipping Included! 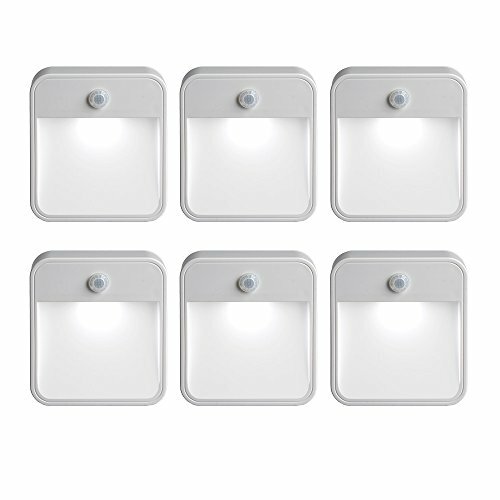 Mr Beams MB726 Stick Anywhere Battery-Powered Wireless Motion Sensor LED Night Light, White, Set of 6 by Mr. Beams at Result BD. MPN: MB726. Hurry! Limited time offer. Offer valid only while supplies last. Effortlessly achieve convenience and affluence equivalent to built-in guide lighting with Mr. Beams' MB726 set of six motion-sensing LED nightlights. Effortlessly achieve convenience and affluence equivalent to built-in guide lighting with Mr. Beams' MB726 set of six motion-sensing LED nightlights. Ideal for stairways, bathrooms, kids' bedrooms, nurseries, and even in a boat or recreational vehicle, the units offer safety and sure footing without the obstacles of hardwiring and electrical demands. The lights' super-bright LED bulbs last up to 50,000 hours--which means years of energy-efficient, cost-effective illumination--and they operate on four AA batteries per light (not included) that last for approximately one year under normal use. Uniquely designed to activate when sensing motion up to 9 feet away, the lights remain on as needed before shutting off automatically after 30 seconds of no motion being detected, making them ideal for navigating the way to the bathroom or kitchen in the middle of the night. Furthermore, they only activate automatically when detecting darkness to conserve battery power during daylight hours. Sleek and stylish with a weatherproof design for indoor and outdoor use, the nightlights come with both tape and screws/mounting anchors for simple, custom-fit installation. Each light measures 1.2 inches long by 3.75 inches wide by 3.25 inches tall and comes in neutral white for easy integration into surrounding decor.